This church has something of an identity crisis! 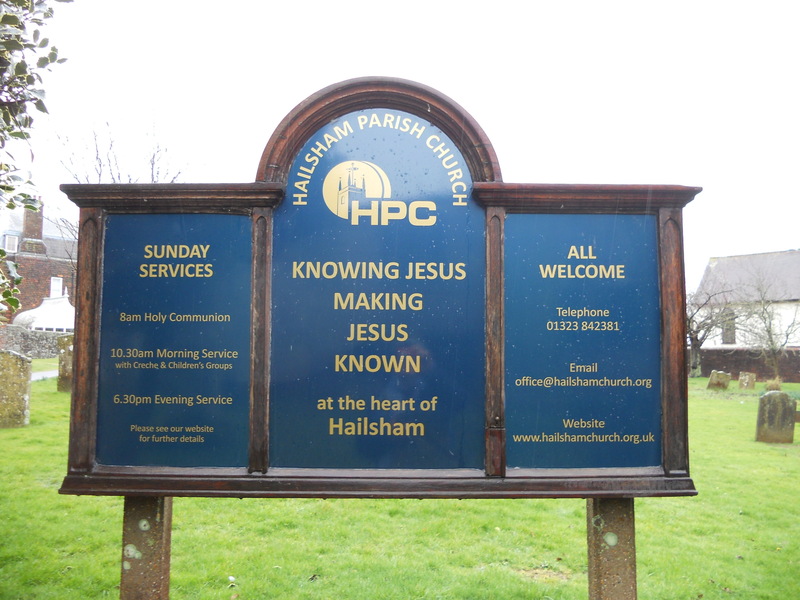 The sign outside tells the world that this is ‘Hailsham Parish Church’ or ‘HPC’ . It is dedicated to St. Mary. I don’t really get the use of acronyms for churches. This seems to be something that has begun to be used in the last few years. Is it an attempt to make the church sound relevant to the 21st century? A bit difficult when it is using a medieval building I think. This will sound very dated in a few years time. Surely being open and friendly makes ‘Jesus known’, especially in the heart of Hailsham? The door was locked. However it is possible to get into St. Mary’s as the website (www.hailshamchurch.org.uk) does say that on ‘Fridays from 9.30 – 12.00 there is the Bite in Cafe (with open church via lounge)’. Better than nothing but still not very good. I have to rate this as very poor for my purposes. How can churches like this be persuaded to throw open their doors? I’ve just stumbled across this blog, thanks for this review, it’s useful to hear how churches are seen from the outside looking in – when locked anyway! Just to encourage you, HPC is often open and throughout the summer has a specific ‘open church’ programme with refreshments, people to talk to, space to be quiet and reflect, rest, listen to music and things like that. I know they’d love to be open more as resources permit. Also, having worked there and done a bit of digging, it’s worth saying the name change isn’t actually a name change but a name revert! 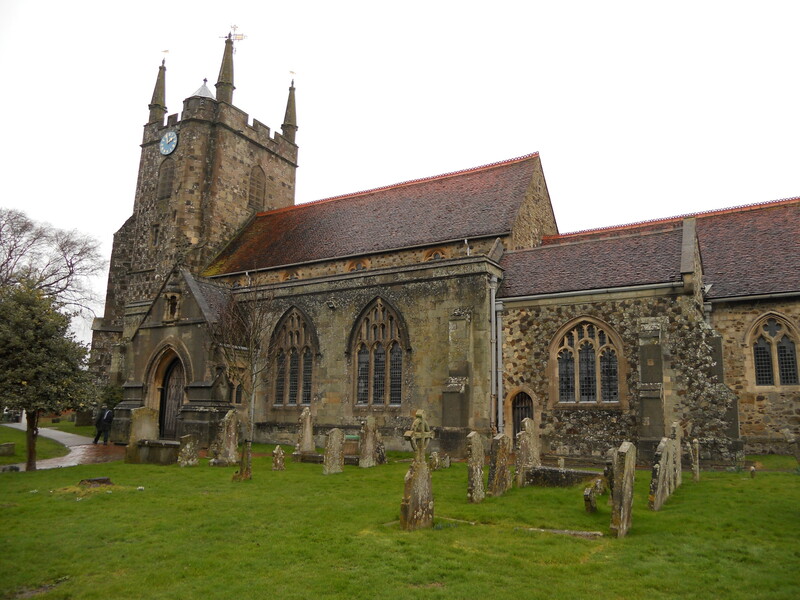 Historically the church, though dedicated to St. Mary, was referred to as Hailsham Parish Church. On another note, does your blog have a search function? I’d love to see if you’ve visited the church I’ve just started working at – St. Andrew’s, Hove. Dan – thank you for taking time to look at my research. The blog has grown but is really just the ‘public face’ of what I have been doing. It generates a bit of interest and also feedback – which I always welcome. Currently I am looking at churches in Herts. I haven’t been to Hove, although I know that there are some good churches to visit in that area. It all depends on finding time to do it. I haven’t put a search function on it but will see about doing that as I am building up quite a lot of entries now.